Chives is a very popular perennial herb and used in every day cooking. 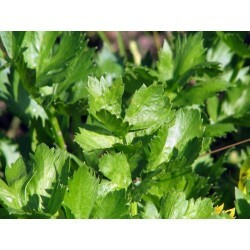 The onion taste of the fine leaves goes well in soups, different egg dishes, sandwiches. Chives are the milder cousin of the onion. Unlike the onion, only the top green portion of the chive is used in recipes or as a garnish. 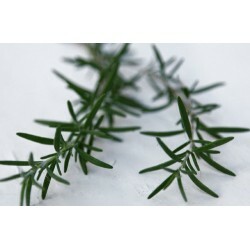 This flavorful herb is used in soup, salads, sauces and sprinkled on top of almost any food to increase the eye-appeal of the dish as well as the flavor. Chives are also as easy to grow in the home garden as they are easy to look at. The herb looks line fine blades of grass and is sometimes grown in herb gardens just for the plant’s pleasing appearance and ability to attract beneficial garden bugs. Use this guide for planting and growing chives so you can enjoy their appearance and flavor at home. Some chives have the flavor of a mild onion, some taste more like garlic and some are grown for their flowers which are both tasty and pretty. Common or onion chives will smell and taste like a mild onion. Each plant will produce several hollow green shoots that will reach a mature height of 10-12 inches. Chinese or garlic chives have a garlic flavor and aroma. 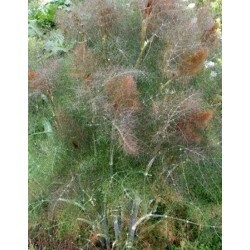 Each plant will produce several hollow green stems that will reach a mature height of 12-18 inches. Siberian chives are strong in flavor and aroma. This variety of chives will take up a little more garden space since the plant reaches a mature size of 20-25 inches tall and equally as wide. All varieties will produce flowers when the plant is not harvested while young. The quarter-sized flowers consist of a multitude of tiny purple blooms that grace the top of the chive stalk. The flowers are edible and have the same flavor as the herb. 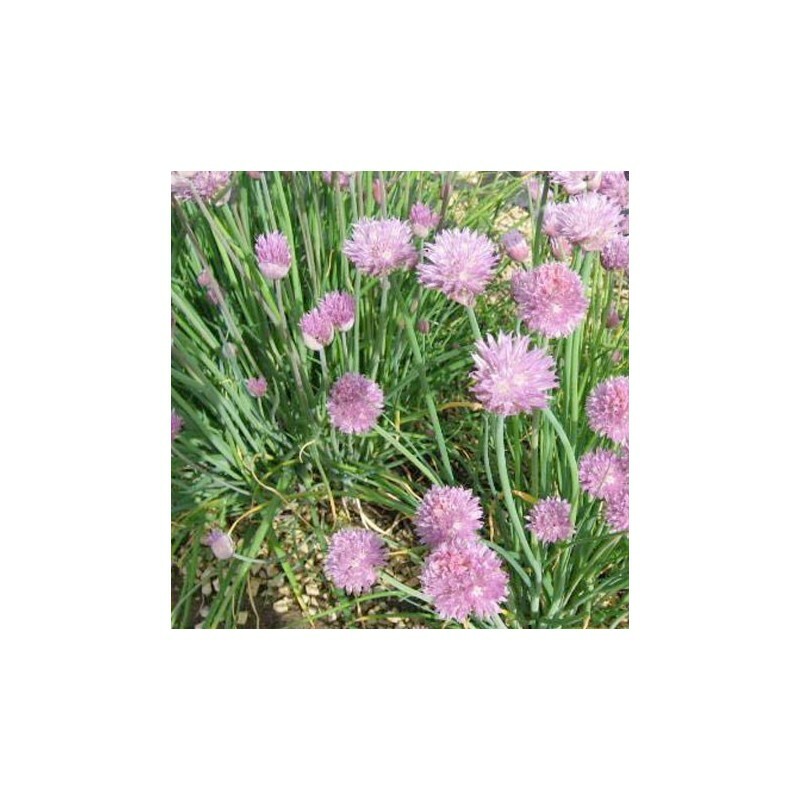 The blooms also attract beneficial garden insects that will destroy the harmful garden pests and chives are often planted for their use as an organic garden pest control. Chives are sun-loving plants and need to be planted in a location that receives full sun. 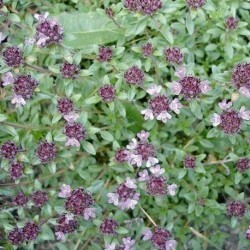 Sandy, loose soil with a pH of 6-7 are other requirements for growing this versatile herb. Test soil for pH level and amend as needed with lime or phosphate to get the proper pH balance. Mix sand and compost into garden soil at a 30 -30 -40 ratio to provide the well-draining loose soil this herb plant must have. Work in the soil ammendments at least two weeks prior to planting chives seeds so the soil will have time to adjust to its new composition. Chives grow best in hot weather and will not grow until soil and air temperatures have warmed to above 60-70 degrees in the late spring. It’s advisable to wait until mid-April or early May before planting seeds outdoors, depending on your growing zones. As a rule of thumb for planting chive seeds, wait two weeks after the last frost in your area to plant. Dampen prepared garden soil, then lightly scatter the chives seeds on top of damp soil, your dedicated herb bed is the best. Perennial herb seeds can take time to germinate, the seeds are quite small so don't cover them with lots of compost. Gently cover with a very thin layer of dry compost and mist with water. Keep the soil damp, but not soggy. Add a layer of organic mulch to help retain soil moisture and prevent weed growth, then get prepared to wait. Be prepared to wait two full months at least to harvest fresh chives from your garden. During this time, keep soil moist and feed developing chive bulbs with a water soluble plant food once per month mixed according to manufacturer’s directions. While you can’t see or harvest the chives, there is a lot going on underground and the food is needed for the developing chive bulbs. When the wait is over you will get to harvest and enjoy the fruits of your labor. Anytime the plant has green shoots that reach 6 inches in height they can be snipped off and used as desired. Keep flower buds snipped off as soon as they form unless you want them to develop. In early fall when plants begin to fade, cut down the top of plants to soil level and cover with a layer of organic mulch. The underground bulb will store energy during the winter for next year’s herb production. If you have have a large chies bush you don't need to sow seeds every year, you can save time and monay by dividing the plants. Every three years the chives bulbs will need to be dug up and divided in the early spring. New bulbs will form around the perimeter of the old ‘parent’ bulb and the growing space will become overcrowded if the bulbs are not divided every few years. Dig up and separate bulbs, discard those that are weak or diseased. Replant healthy bulbs in soil that has been prepared as outlined above. The new chive bulb will produce delicious green shoots that same year.